Are you looking to step up to the big leagues of towing and hauling? If so, you have to see the 2018 RAM 3500. This monster tows 31,000 pounds and you can pile nearly 7,400 pounds of stuff in the bed. That’s big league. 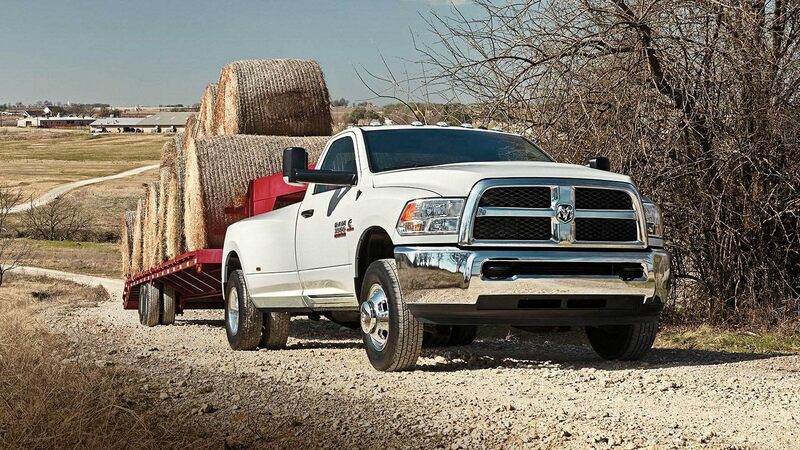 This RAM heavy-duty truck is an awesome work horse but it’s not without its civilized side. A high-quality cabin and comfortable ride make it stand out among the heavy-duty competition. It comes in six trims from no frills to ridiculous luxury but like all RAM trucks, there are so many options available to buyers it’s hard to determine where one trim ends and another begins. If you need a truly serious truck, you need to get behind the wheel of a 2018 RAM 3500. So, where can you find one of these? You can see a 2018 Ram 3500 for sale in Bossier City, LA right here at Landers Dodge Chrysler Jeep RAM. 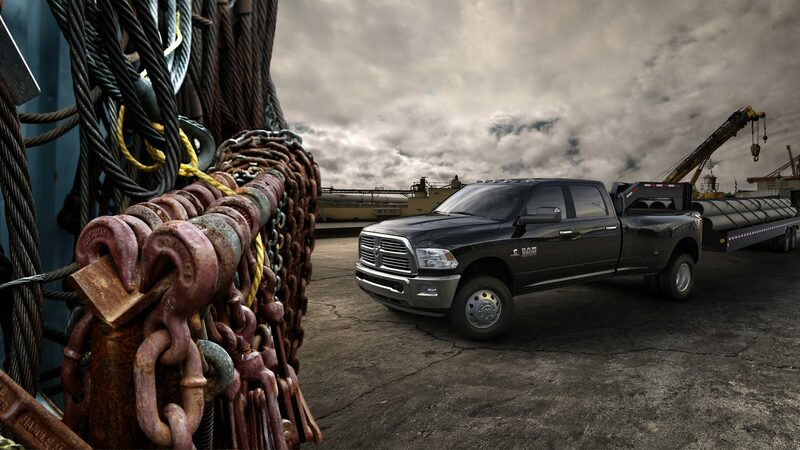 We carry a large selection of new commercial truck models, including the new Ram 3500, and our experts are standing by ready to help your find the right vehicle to fit your needs. While we’d love to see you at the dealership, you can do this deal entirely online in about 59 minutes. But, you really don’t want to miss out on a test drive so drop on down to Bossier City and have a look around. When you climb into the cabin of the 2018 RAM 3500 your first impression will be “this truck is huge.” That’s because it is. 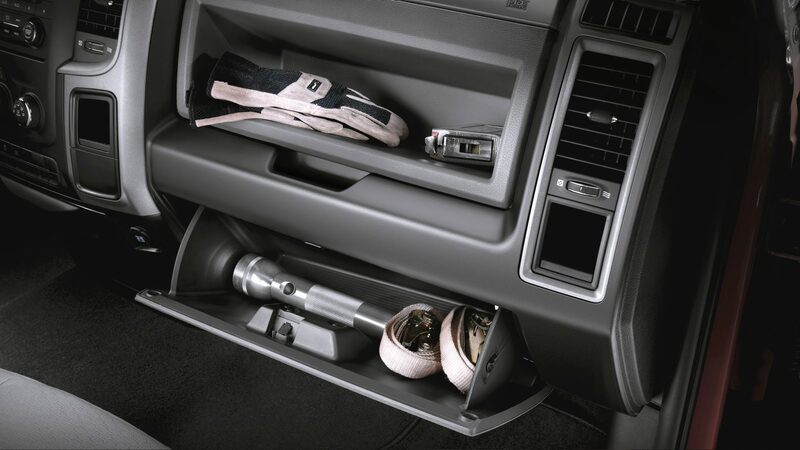 There’s excellent visibility, room for all kinds of onboard storage making it an ideal crew truck, and then depending on the trim, an exhaustive list of features and technology. New for 2018, the Uconnect® system is now Android Auto™ and Apple CarPlay® compatible, a Wi-Fi hotspot that will connect up to 10 devices (and you’ve got the cubbies to store them), a rear-view camera, and an 8.4-inch touchscreen. You can find 2018 Ram 3500 inventory near Minden and Shreveport, LA, right here at Lander’s Dodge Chrysler Jeep Ram in Bossier City. Check out our inventory now! The 2018 Ram 3500 is the most powerful in the RAM lineup. It comes with several engine and transmission options starting with the standard a 383 horsepower, 400-lb.-ft. of torque in the 5.7-liter V-8 engine. A larger gas-powered engine, the 6.4-liter V-8 produces 410 horsepower and 429 lb.-ft. of torque. Both engines are mated to a six-speed transmission. But for mega towing capacity, nothing beats the 6.7-liter Cummins turbodiesel I-6 that produces 350 horsepower and 660 lb.-ft. of torque with the standard transmission or 385 horsepower and a whopping 930 lb.-ft. of torque with the heavy duty six-speed automatic transmission. Impressive! If this is your idea of truck heaven, contact us at Lander’s Dodge Chrysler Jeep RAM today and arrange for a personal test drive of the 2018 RAM 3500 near Minden, LA.